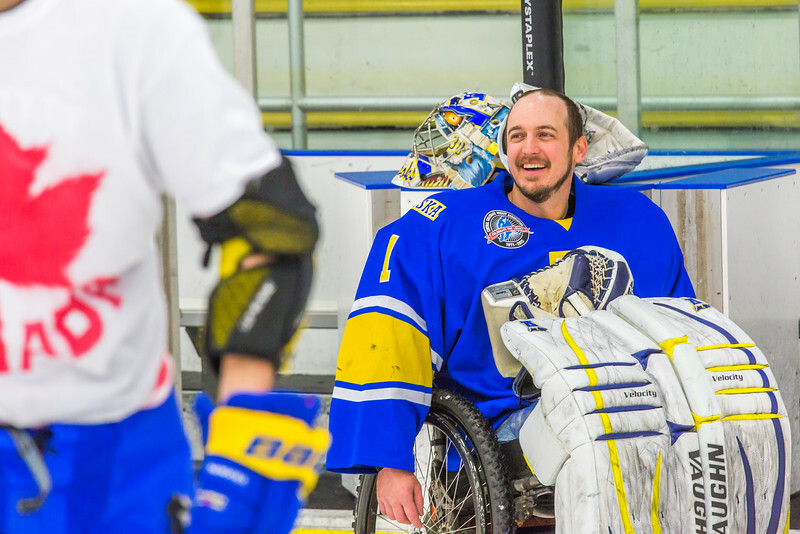 UAF rifle coach Dan Jordan shares a laugh after successfully defending the net during the Nanook Olympics on April 11, 2015. The event features student athletes (and some coaches) suiting up to compete against in each other in a variety of sporting events. Here the rifle team squared off against cross-country for a spirited hockey match.